JULIAN STATION: Snow in Julian...We're open!!! Farmers' Market Today! 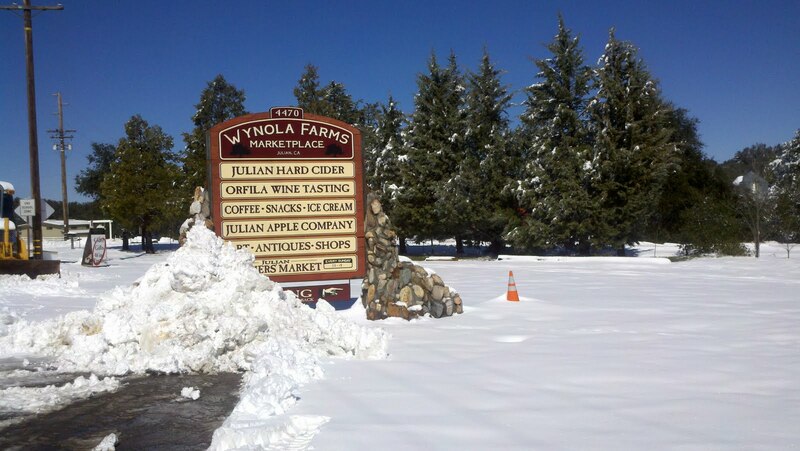 Snow in Julian...We're open!!! Farmers' Market Today! Come join us in the snow for Wine, Beer & Hard Cider Tasting, plus unique shops and snowball fights too!